Along with the cooler fall weather on Seattle's Eastside, the real estate market has cooled a bit. The hot market of early this year began to cool off in July and continued into September. Does this mean we are in a bad real estate market? Each time the market changes, people read more into it than is needed. Our market is slower, but still very strong. We're in a more balanced, evenly paced market, which is a good thing. With homes selling on average in a little over a month, the real estate market is a good one. The market is a strong market, it's just not as crazy and fast paced as earlier this year. The number of homes for sale dropped for the first time this year and inventory remains low. Sales activity, although still good, also declined. Ironically, the percentage of homes selling as compared to what's available, 41%, is not that much different than last year when 37.5% of the homes sold. The pace of the market is very similar to September, 2012, however time on the market is much shorter and median pricing is much stronger. As I mentioned last month, this means pricing is paramount. With our more realistic market, buyers won't be as willing to jump. They're going to be more critical and evaluate the pricing of a home more carefully. We're in a more normal market in which buyers have the luxury of a little more time. They will evaluate and pick and choose those homes that are priced right and show well. 41% of the available homes sold this past September, 37.5% sold in September, 2012. 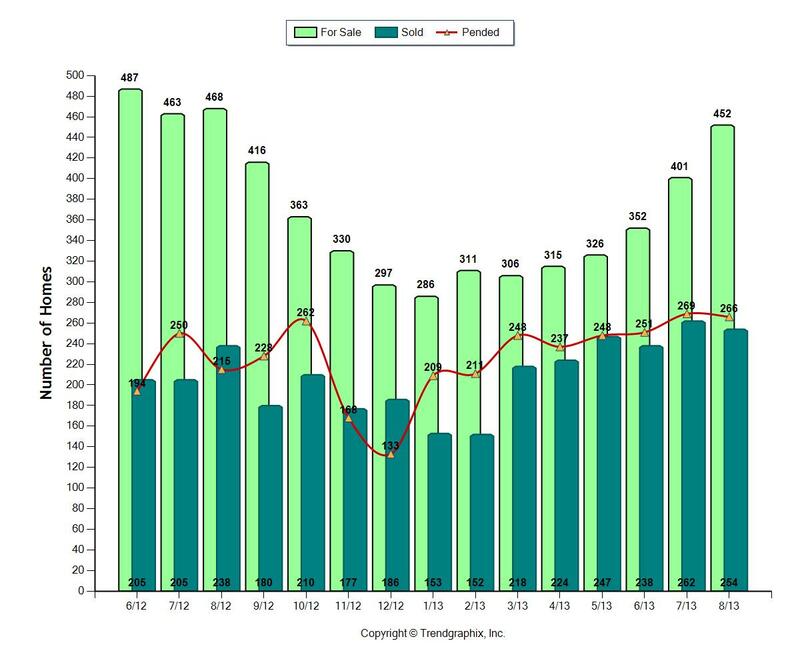 Homes sold in 37 days, down from 68 days in September, 2012. In 2012 median pricing in September was $500,000. In 2013, September's median pricing was $585,000. If you'd like to know more about the value of your home, please don't hesitate to contact us. Was The Seattle-Eastside Condo Market Still Strong in August? Sixty percent of the available condos on Seattle's Eastside sold in August. 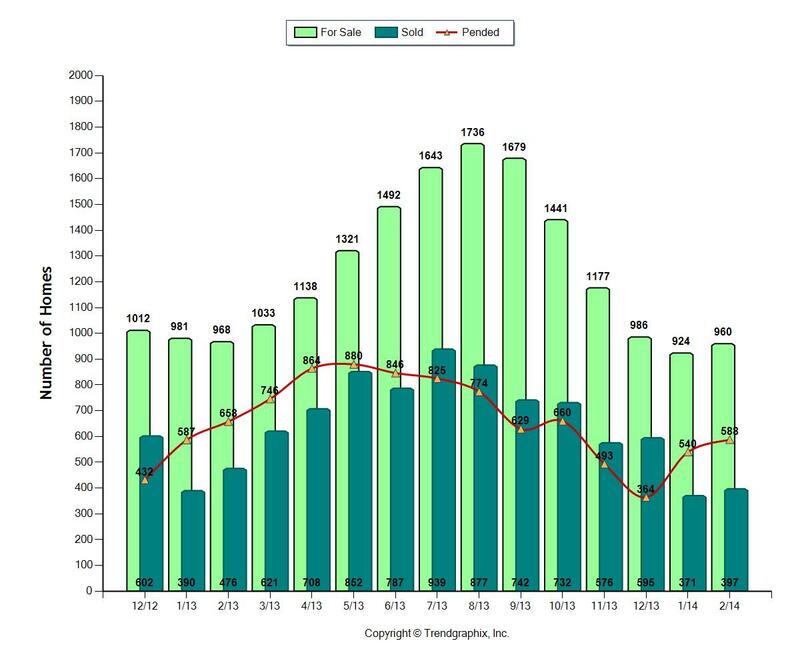 It's terrific to think that 2/3 of the August inventory sold. The number of sales was none too shabby, but the market has slowed. Earlier this year, 8 out of 10 condos sold in a given month. But selling 6 out of 10 condos is still nothing to sneeze at. It's still a very strong condo sales market. Median pricing stayed the same as July, $272,000. Median pricing seems to have stabilized as pricing for the last four months ranged from $269,000-$279,000. Condos were on the market for 45 days. 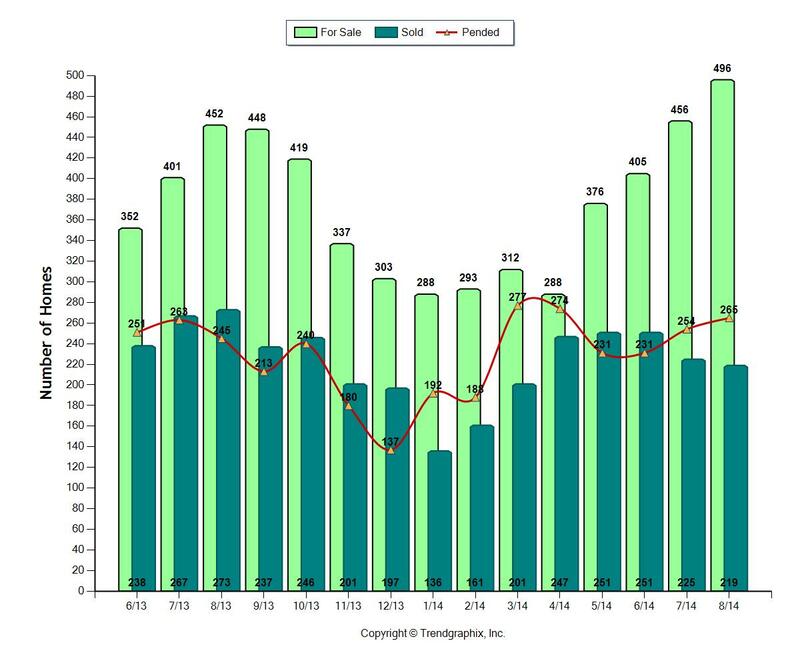 If no other condos had come up for sale, it would have taken less than two months to sell all of the inventory available in August. How Can You Make More Money Selling Your Seattle Eastside Home? It's simple. Price your home right and it will sell quickly and for full price. Overprice your home, it will take longer to sell and it'll sell for less than full price. In today's hot real estate market, buyers know a good home when they see it because they run out to see everything as soon as it comes up for sale. If it's priced right, a home will attract multiple offers and sell for full price or more. If it doesn't sell quickly, given the shortage of supply, it's clear a house is overpriced and will need a price reduction to attract a buyer. Two thirds of the sellers got it right during the first quarter of the year and sold their homes quickly and for full price or more. When you price your home, position yourself to be in that two thirds that sells for full price. If you do, you'll end up walking away with more money in your pocket. Are Distressed Sales a Big Part of the Real Estate Market on Seattle’s Eastside? 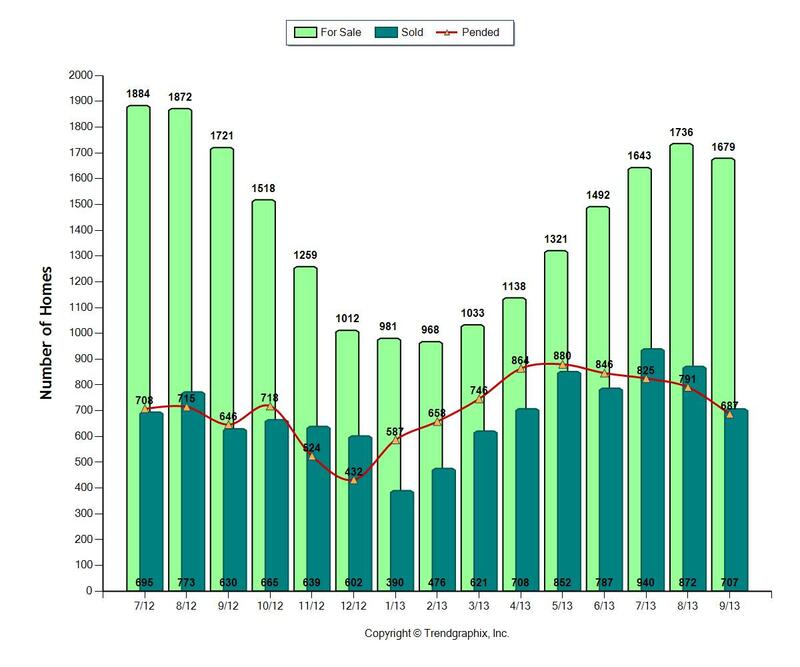 Not only is the Seattle Eastside Real Estate market on a roll, the number of distressed sales (bank owned and short sales) has declined dramatically. In the 3rd quarter, only 18% of the homes sold on the eastside were distressed sales. Seattle and the rest of King County also had numbers that were on the lower side when compared to previous quarters. Actually, it would be great if more distressed homes came on the market. We need more homes to sell. King County and, subsequently, the eastside are at a record low number of homes for sale. Because of this lack of inventory, distressed sales are needed on the market and, unlike previous years, would not have a detrimental affect on home prices. At this point, it would be a good thing for the market by offering buyers more choices. So bring those homes for sale on the market. Bring them on! The Seattle eastside real estate market is still hot! Real estate sales’ numbers on Seattle’s Eastside are terrific. 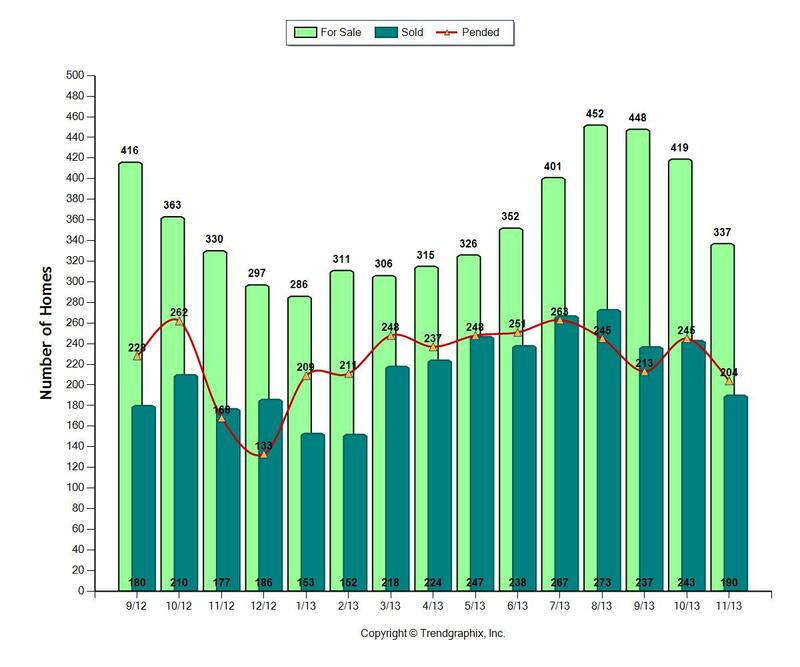 April sales numbers were similar to March when 46% of the available homes sold. In April, because there were about 100 more homes for sale, the odds of selling dropped slightly to 42% sold. Home sellers in Bellevue, Kirkland, Redmond and other eastside cities have the best odds of selling a home since 2007! Much of this is due to the positive economy here in the Seattle area. New listings are coming on the market and selling quickly. If no other homes were to come on the market, it would only take 1.4 months to sell all of the eastside homes. Demand is high, helping the good homes that are well priced, show well, have fabulous photos, and great marketing to fall into the 42% of homes that sold last month. Some homes have sold for over full price with multiple offers. Remember, 58% of the homes did not sell and, more than likely, are missing one of the necessary elements necessary for a quick, well priced sale. The homes may need to have a better price tag or photos, staging or marketing. It’s still competitive and buyers are savvy enough to identify those homes that are well priced. Even though there aren’t a lot of homes for sale, there’s enough new listings coming on the market each month to guarantee a fresh supply of available homes. With interest rates remaining low, some buyers still take time to make a buying decision. We sold several homes last month in a matter of days, with multiple offers and for over full price. We worked with all of the sellers for a while before their homes actually came on the market. One seller contacted us last summer so she would have the time to do everything needed to get ready to sell without creating additional stress. Most of our sellers contact us a few months before going on the market. It gives us enough time to get contractors in, if needed, to paint, re-carpet or refresh the landscaping. 42% of the available homes sold this past April, 23% sold in April, 2011. Homes sold in 101 days, which is down from 105 days in April, 2011. Median pricing was down to $485,000 from $492,000. Homes sold within 94% of the original asking price. Last year homes sold within 91% of the asking price. 23% more homes sold this year. So if you plan to land in the 42% of homes that sell, not the 58% that did not, start the process by contacting your Realtor well ahead of time. 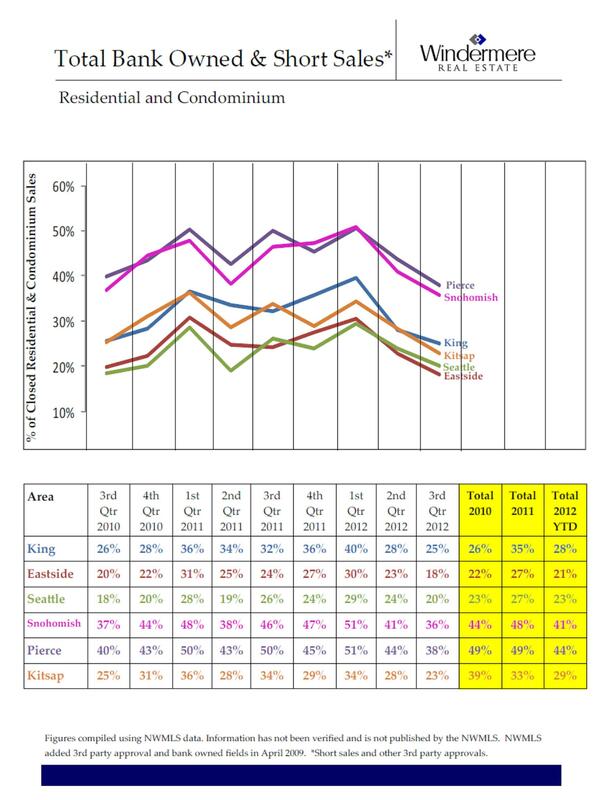 How Was The Seattle Eastside Condo Market in December 2011? Seattle Eastside condo inventory dipped to 2011’s lowest point in December, 2011. The year began and ended with under 1000 condos for sale. 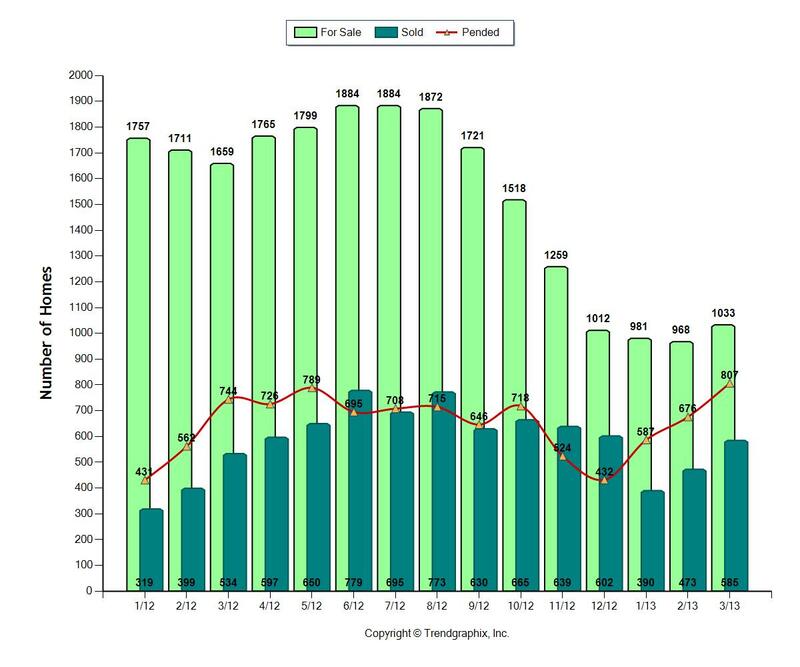 The number of available eastside condos peaked in June with well over 1100 condos for sale. The peak was never really much of a peak when we look at the peak numbers in previous years. In the past, the number of condos could easily top out at 1500 for sale. 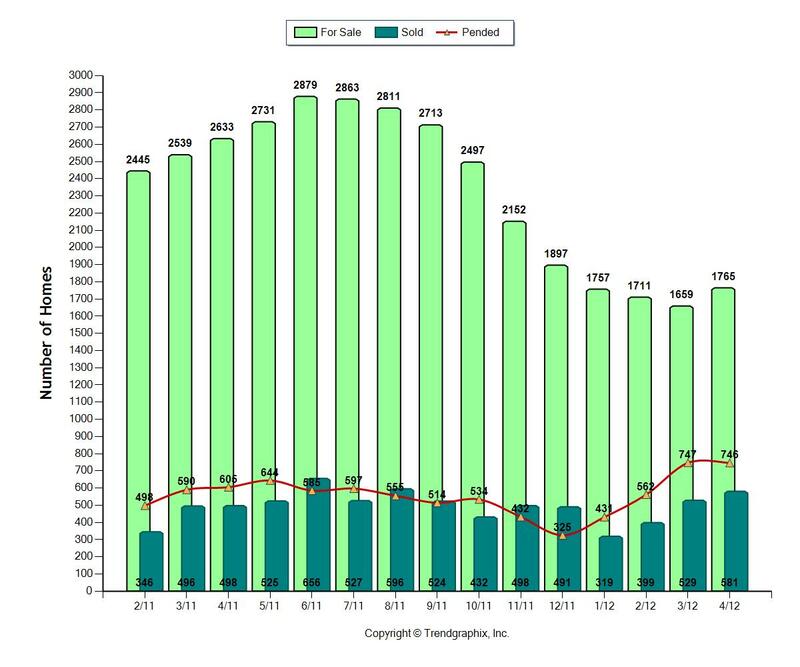 In October 2010, there were 1375 condos for sale, and that was not even the peak month for 2010. As most people know, condos have been hit harder than single family homes by the economic downturn. Prices are down quite a bit, so it’s good to see 2011 end with fewer condos for sale on the eastside. There’s a big drop in value for condos, about 18% for the year, but the reality is the lower prices are helping to move some of the supply. With fewer condos for sale and a fresh start with the new year, I expect to see condos sell well. The economy is doing better locally with Boeing, Amazon, Microsoft, and others in a hiring mode. Prices will continue to stay low, but with the huge decline in the number of properties for sale, prices should remain stable this year. There were 822 condos for sale in December, with 138 of them receiving offers. The average market time was 135 days, a shorter market time than last December’s 156 days. Condos sold within 90% of the original asking price. Median pricing is down overall, but the median sales price increased during December by 7% from $224,000 in December, 2010 to $239,000. 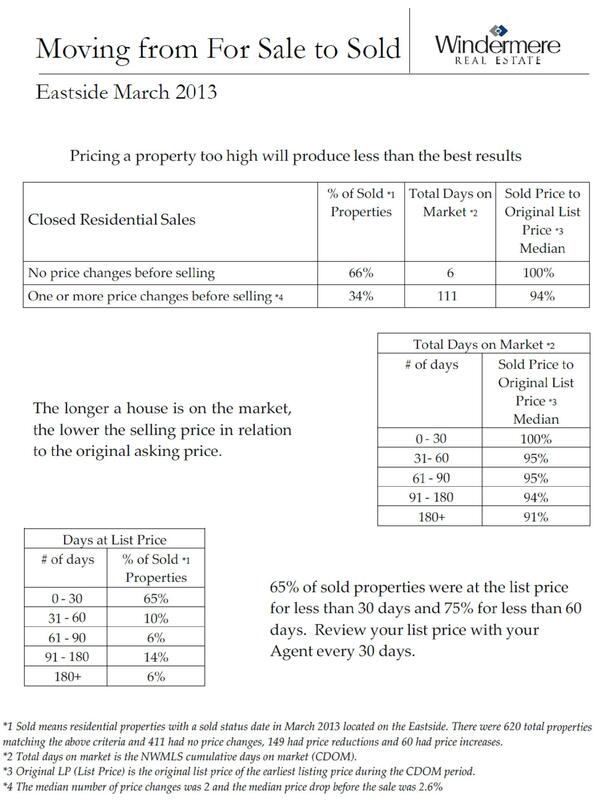 Remember median pricing reflects what sold that particular month. This doesn’t mean pricing was up 7% for the year, but what sold in December, 2011 was slightly more expensive than what sold in December, 2010. Our condo supply is usually the highest in the summer. The bell curve shape for the number of condos for sale on the above chart is the typical pattern for most years, regardless of how the real estate market performs. Condos do sell well in the summer, but competition is much fiercer. If you’re thinking of selling your eastside condo, it’s best to get on the market in the early spring to get ahead of the competition. Since we have micro-real estate markets in Bellevue, Redmond, Kirkland and the other eastside cities, please contact us if you have questions about your complex or your condo’s value.